Plough Inn015395 67700work InnFood lead roadside inn with six luxurious bedrooms and suites. Head chef Robert Stacey champions simple, seasonal flavours in imaginative ways alongside pub classics. 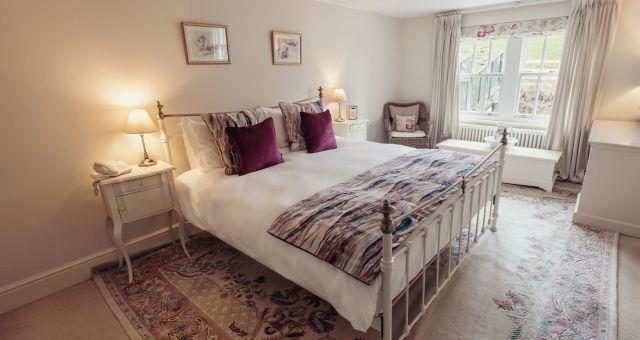 With rooms from just £85 B&B for two the emphasis is on value for money luxury. All rooms have stand alone roll top baths and monsoon showers and come with fluffy bath robes and sumptuous bath products. Stylish interiors bring together a bar where dogs are welcome as well as a dining room which makes it the ideal setting for romantic meals for two as well as group gatherings. In addition to the seasonal menu there is a daily specials board and regular themed nights such as Burger Night, all washed down with a locally stocked bar which includes The Lakes Gin and Vodka as its house spirits and a rotation of local beers such as Kirkby Lonsdale’s ‘Monumental’ and Tirril’s ‘Ullswater Blonde’. As well as a king size bed this room has a single sofa bed and space for a z bed. Rates are inclusive of Full English breakfast and VAT at the current rate. Additional people aged 12 and over is £25pp on top of that day’s rates. Rates may be dropped below £120 for late availability. The rooms are extremely well kept and everything is designed with a great deal of thought. We thoroughly enjoyed our stay and kids had a great time. Food lead roadside inn with six luxurious bedrooms and suites. Head chef Robert Stacey champions simple, seasonal flavours in imaginative ways alongside pub classics. 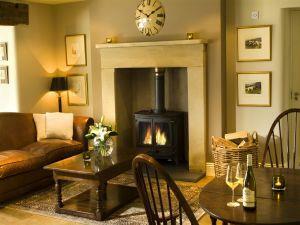 With rooms from just £85 B&B for two the emphasis is on value for money luxury. We are on the right at the brow of the hill (there is hotel brown sign with 150yds notice).